The Richmond office’s Adopt-A-Street pilot effort for the 3400 block of West Clay Street is complete! In total we picked up (7) 50-gallon bags of trash between August and October 2010. It may not sound like a lot, but even just a few Styrofoam cups and fast food bags can look awful. Since this location does collect quite a bit of trash and has high visibility for the neighborhood, we are proceeding with formally adopting this location. We are now eligible for a sign from the Clean City Commission stating that Moseley Architects has adopted that street. Thank you to everyone who has volunteered for cleanups in the past or has committed to future cleanups! Richmond employees, please see Mike Caudle if you would like to volunteer for a future cleanup. The Electric Cars are Coming! Yes, Tesla has sold over 1,000 of its sports car and will be offering a second model at $57K, roughly half the price of the original Tesla Roadster, but what about the rest of us non-Hollywood moguls? Well, the electric cars are coming. Nissan already has 20,000 deposits on the $32K Leaf which is battery electric, 5-door , 5-seat with 100 miles range. Hugs from polar bears are optional. Toyota has plans to offer a plug-in hybrid version of the Prius, 500 of which are alread in fleet trials around the country. A dealer offering was planned for 2011, but recalls on the standard Prius may delay that. A proposed pure battery electric version is intended for late 2011. General Motors will be back, (have you seen Who Killed the Electric Car? You can catch it online at TopDocumentaryFilms.com and other film documentary websites) with the Chevy Volt, which is a plug in hybrid with 40 miles electric range, and a supplemental gasoline-operated generator to give another 300 miles. They intend to manufacture 10,000 in 2011. Ford plans to offer the Focus in four versions in 2011: Battery Electric, Plug-in Hybrid, Hybrid, and conventional drive train. Ford already sells the Transit Connect Electric compact van. Richmond plans to acquire four of these, possibly acquiring 40 additional electric vehicles if they pan out. The media reports that the van can do up to 80 mph and has an 80 mile range. I guess at full speed you can only drive for an hour. But in Broad Street traffic who knows, you might sit in one spot all day. Mitsubishi already has the best-selling micro-compact electric car in Japan, and will offer a modified version for the US market in 2012 with a 50 to 80 mile range in a low $30K price range. The Chrysler GEM, which looks a bit like a space-age golf cart, is an under 25 MPH light vehicle priced under $10,000. There are about 40,000 distributed around the United States in university towns, fleets, and retirement communities. Chrysler plans to offer an electric version of the subcompact Fiat 500 in 2012 with a 100 mile range and a $32K price tag, and expects to build 56,000 of them in 2014. Fisker is producing a luxury sports plug-in hybrid in the $90K range for 2012 with a questionably sustainable 403 hp, and will have to overcome the model name: Karma. And how much in these announcements will change. A lot is our guess, but it does seem that we are at the beginning of a new era in automotive design. 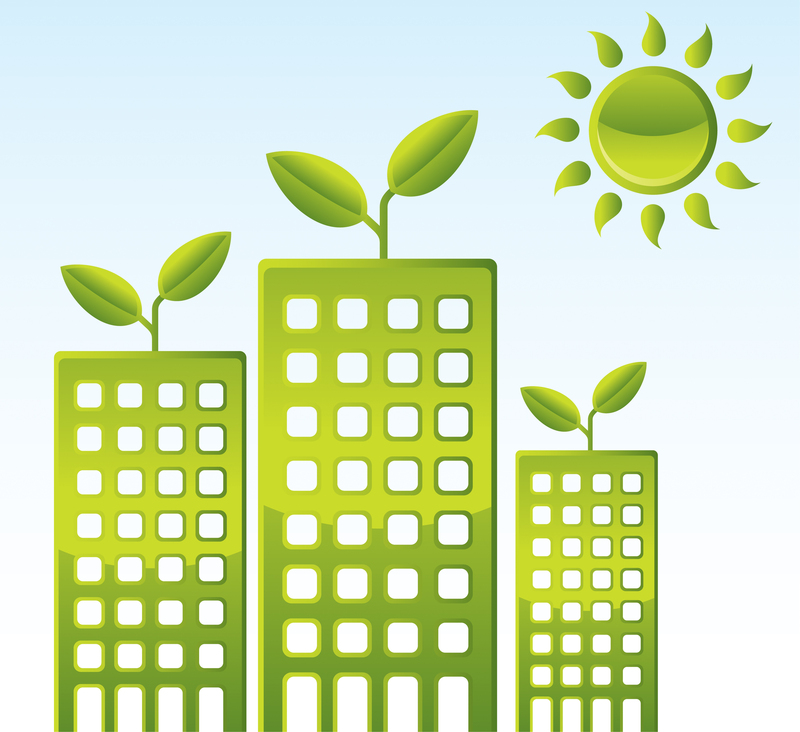 In September 2010, a study was published in the American Journal of Public Health called “Effects of Green Buildings on Employee Health and Productivity”. The study was conducted by researchers at the School of Planning, Design, and Construction at Michigan State University. They investigated the effects of improved indoor environmental quality (IEQ) on perceived health and productivity in occupants who moved from conventional buildings to green office buildings (based on LEED ratings). They found that improved IEQ contributed to reductions in perceived absenteeism and work hours affected, and to self-reported improvements in productivity. The conclusion to the preliminary findings is that green buildings may positively affect public health. The study focused on absenteeism attributed to asthma and allergies, work hours affected by asthma and allergies, and work hours affected by depression and stress. Data was collected through pre- and post-move surveys. The end result was a productivity improvement of 2.6 percent averaged across all occupants. The researchers intend to continue collecting data to capture different seasons, and to see if any perceived benefit that is just excitement over a new building causes the results to change over time. In looking for ways to promote healthy indoor air quality in our Raleigh office, a number of our staff indentified some useful research regarding the plant species that are suspected to have positive effects on IAQ. Click here for a link to a particularly good summary (we have also saved the relevant information in a handy one-page document on our servers). There is also an interesting chart detailing the observed effects of each plant species on different chemicals and contaminants. Although we would have also liked to see more recent studies confirming such effects, having a few extra plants around the office didn’t strike us as a bad idea even without the IAQ benefits. Each employee ended up bringing a few from these lists from their local nursery / garden center – and in the process we discovered a few green thumbs in the group that were particularly adept at propagating new plants from cuttings, allowing us to extend the new swath of greenery even further!